Kounios is a professor of psychology in the College of Arts and Sciences and director of the PhD program in Applied Cognitive and Brain Sciences. When Drexel Professor of Psychology John Kounios has a problem to solve, he takes a ride in the quiet car on the regional rail line. He leans back in his seat for the 45-minute commute between his home in West Chester and Drexel’s University City Campus. He dons special noise-cancelling headphones, slaps on his sunglasses and closes his eyes. No cellphone ringtones. No chatter of voices. No distractions, not even the rumble of the train nor the scenery streaking past the window. Then, Kounios lets his thoughts wander. In this relaxed state where the mind is most open, the affable, 58-year-old with a shock of gray hair meditates and allows associations to flow as he turns thoughts over in his mind. Often enough, he has what’s called a eureka! or aha! moment, that sudden awareness of a new idea, new perspective or solution. Insight is a unique phenomenon within the brain that can be encouraged by creating the right conditions, argues Kounios. In a new book, “The Eureka Factor: Aha Moments, Creative Insight, and the Brain” (Random House, 2015), he unpacks his groundbreaking insight research conducted with co-author Mark Beeman, a professor of psychology and neurosciences at Northwestern University. A decade ago, the scientists identified the “neural signature” of insight through cutting-edge brain-imaging studies, and ever since, the work has generated buzz. Most recently, Kounios was interviewed on WHYY’s “Radio Times” and appeared in the Philadelphia Inquirer. Daniel Schacter, a professor of psychology at Harvard University and author of the book “The Seven Sins of Memory,” calls the scientists pioneers. In his third-floor lab in Stratton Hall on Drexel’s University City Campus, Kounios and his graduate students explore the complex workings of the creative mind with the simplest of tools: EEGs and word puzzles. The modest room houses computer terminals, a couple of chairs and two Styrofoam head models — nicknamed Aristoteles and Bartholomew — used to store the lab’s two elastic EEG caps equipped with red, yellow and green electrodes that connect to a Kleenex-sized box that amplifies electronic signals. On a recent summer day, doctoral student Monica Truelove-Hill, 28, has volunteered to demonstrate a typical insight study. The electrode-laden cap is positioned on her cranium. Next, each electrode, including reference nodes behind her ears, is painstakingly filled with a conducting gel that ferries a small voltage from the scalp to the electrode. When John Kounios started out, there was no name for the field of science he has helped shape and define. Few people believed that insight was even a topic worthy of study. As an undergraduate at Haverford College, this son of a banker and schoolteacher knew he wanted to double major in psychology and music theory and composition. Kounios delighted in playing the piano, which he occasionally still does, but psychology seemed a more practical career. In graduate school at the University of Michigan in Ann Arbor, he studied semantic memory, earning his doctorate in 1985. He also joined a Greek Orthodox church choir and met a fellow Greek American, Constantine Papadakis, who would go on to become president of Drexel and prove pivotal in Kounios’ career. The field he ultimately pursued — cognitive neuroscience — did not even exist. It wasn’t until the development of neuroimaging in the mid- to late-1980s that scientists began looking at the functional aspects of the brain. 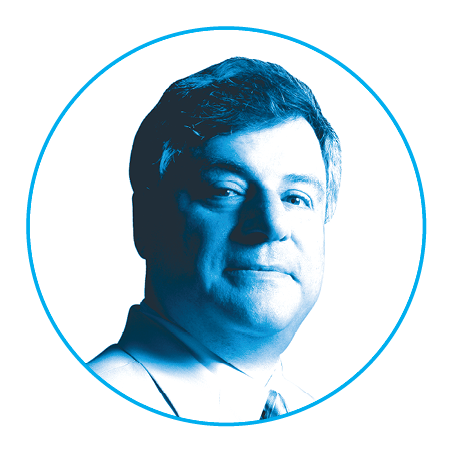 After a post-doc at Princeton University, where he explored the origins of memory, Kounios joined Tufts University in 1987 as an assistant professor. Eventually, he made his way to the University of Pennsylvania in 1996 and soon became director of the Cognitive Electrophysiology Lab at the school’s Institute for Research in Cognitive Science. There, Kounios had his own Eureka! Insight, he realized, would be an ideal new field to explore. While creativity, including insight, had been studied for decades, nothing had been done on the neural basis of the process. By 2003, Kounios was recruited to Drexel, by none other than his grad-school friend Papadakis. Within a year, he and Beeman had published their discovery. Then, Truelove-Hill is shown a series of anagrams. For example, she sees the letters free, and comes up with reef. Or she sees endo, and finds done. After each try, she notes whether she arrived at the solution through insightful thought — that is, a sudden, unexpected answer — or through analytical thought, which requires methodically trying different options. Reef, she says, required analysis, but done just came to her. All the while, her brain waves rise and fall like peaks and valleys on a mountain range on a nearby computer screen. Later, the researchers scan the waves for signals that stand out from the general noise of the working brain. By now, most cognitive psychologists agree that insight is distinct from analytical thought, but when Kounios and Beeman met as researchers at the University of Pennsylvania in late 2000, skeptics in cognitive science were arguing that aha! moments were nothing more than emotional reactions to otherwise deliberate, analytical thoughts. Kounios and Beeman believed something else was going on. Insight, accompanied by a rush of excitement, even joy, just felt different. In what might now be regarded as an inspired choice, they decided to use then-new technologies — brain scans — to study a topic long explored only with behavioral experiments. Each scientist brought his expertise to the lab. Kounios’ work on the neural basis of semantic memory (how people acquire, use and sometimes forget knowledge) involved EEG scans; Beeman was versed in functional MRI (fMRI, a method of measuring brain activity through changes in blood flow) through his study of language comprehension and the brain’s right hemisphere, which is used to draw together distantly related information. 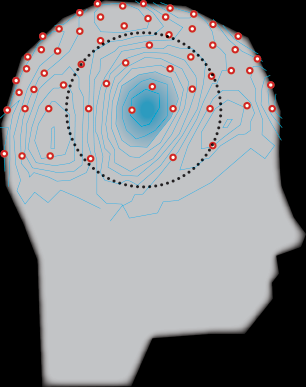 The EEG can spot when things happen in the brain within milliseconds. But it’s not so great with where. fMRI, however, can produce “exquisitely detailed” maps of where things are happening. Its limitation was in pinpointing when. Put the two together, the researchers figured, and they might see what happens in the brain at the precise moment of an insight. The next challenge was to design an experiment to illuminate the instant when a person solved a problem with a sudden idea. After all, Kounios and Beeman couldn’t follow around subjects 24/7 hoping for epiphanies. That’s where word puzzles came in. Consider pine, crab and sauce. Then figure out a common word that makes a familiar compound or phrase with each. (Spoiler alert: apple.) These puzzles can be solved either with solutions that pop into the mind suddenly or through a process of elimination. Each did the experiment in his own lab with a set of subjects and analyzed the data. Then the scientists traded brain scans. When the images were overlaid, what they saw was astounding in many ways. “You couldn’t find a more perfect match,” Beeman says. Here’s what the researchers uncovered: At the moment of insight, high-frequency EEG activity known as gamma waves occurred above the right ear. (Gamma waves represent cognitive processes that link together different pieces of information.) The fMRI showed a corresponding increase in blood flow in part of the brain’s right temporal lobe involved in making connections between ideas (think jokes or metaphors), as Beeman suspected. The kicker: This activity was not present in analytical solutions to the word problems. The two had discovered the pathway in the brain triggered during an aha! moment: the right temporal lobe, located just above the right ear, lights up when a flash of knowledge occurs. Their 2004 article in the journal PLOS Biology fired the public’s imagination. The Times of London proclaimed the discovery of the brain’s E-spot, E standing for Eureka! “John is one of the leading EEG researchers in the world,” says James D. Herbert, inaugural dean of Drexel’s Graduate College and former head of the psychology department. He points out that EEG has often been the stepchild of fMRI, even though it is considerably cheaper to use. “What he is brilliant at is using EEG to address questions that everyone else is using much more expensive technology to address,” says Herbert. In fact, Kounios is finding more ways to translate his work into inexpensive, real-world applications. He’s investigating how to use EEGs as an early screening test for conditions as diverse as Alzheimer’s disease and obesity. Another project underway applies EEG to the emerging field of neuro-marketing to better predict consumer interest in products. “It’s in keeping with the Drexel way: Doing things in the most efficient way possible,” says Herbert. Kounios has taught introductory and graduate level courses, but his first love is research, and he and Beeman, who moved to Northwestern in 2002, have continued to collaborate, with some interesting results. At the moment of insight, high-frequency EEG activity known as gamma waves occur above the right ear. At the same time, there is a corresponding increase in blood flow in the brain’s right temporal lobe. One study showed that a couple of seconds before a puzzle is presented to a subject, the brain engages in different activity depending upon whether that individual ultimately solves the problem insightfully or analytically. Another documented that even during a resting brain state, distinct areas light up, pushing subjects toward one type of thought or other. Going forward, the scientists want to explore the influence of genetics on creativity and what other factors, besides mood and anxiety, might play a role. Currently, Kounios has a proposal out that will look at whether people who have a track record of creative accomplishment tend to move back and forth between insight and analysis more often than the average person. Most people have a predilection, says Kounios. Kounios says he favors insight, and he recently co-authored a paper in Thinking & Reasoning that he says shows that solutions to problems that were derived by insight are more accurate than analytically derived solutions. The reason for that, he says, is that analytic thinking is fragile and error-prone because it can be rushed or sloppy. In contrast, insights are the product of unconscious processes that can’t be rushed and that come to a conclusion only in their own time. A person may fail to have an “aha moment” and thereby draw a blank, but if they do have one, chances are that it is a correct solution. True success demands measures of both. Every great idea needs an analytical workhorse to make it happen. And the most methodical person will never achieve significant progress without a dose of spur-of-the-moment creativity. The “Eureka Factor” is replete with interesting examples. Did you know that Paul McCartney keeps a piano bedside to try out ideas that come to him in the middle of the night? Judah Folkman, a cancer surgeon and researcher, created the new field of angiogenesis around his insight that cancer tumors need a substantial blood supply to grow. “The West Wing” creator Aaron Sorkin says he overcomes writer’s block by taking six or more showers a day, as a way to cut off distractions. 1. Stay positive. A good mood has a powerful effect on creativity, he says. 2. Focus inward. Take time outs to recharge, even if only for a split second. In fact, an early study by Kounios and Beeman produced a surprise. A second before the gamma wave activity, a burst of alpha waves appeared on the right side of the brain at the back of the head. It’s called a “brain blink” because it restricts visual input. Visual information can “hijack thought,” says Kounios. “By looking at a blank wall, or closing your eyes, or looking down, you cut off that distraction and that boosts the signal-to-noise ratio of that weakly activated, unconscious idea,” he says. 3. Catch some Zzzs. Naps work. Besides improving mood, sleep consolidates memories. “It brings out the non-obvious connections and associations in the details of a memory,” Kounios says. Kounios saw the virtue of a nap play out while struggling to come up with a title for his book. One late night his wife, Yvette, fell asleep on the couch. An idea jolted her awake and she immediately woke her husband. “I have the title for the book,” she told John. Her idea was The Eureka Factor.